Which book(s)/media should not be discussed in this thread? It's marked as Show Only. No spoilers for 1984, I imagine. I think this means "not including the feeds since this aired". I think it's interesting how well this year's cast is getting along—in relative Big Brother terms—and I don't think it's coincidental. I suspect they all came into the house determined not to repeat last summer's debacle. I wonder if CBS might have even given them a lecture about it before sending them in. Zach and Devin both exhibited personalities that you might think would be explosive on their way out the door, yet they both took defeat coolly and smiling. They're all exhibiting surprising savvy, both about the game and about being on TV. I was a little surprised the producers chose such a luck-dependent competition for the jurors. By removing skill, you create a one-in-four chance of introducing Jocasta back into the game...and let's face it, she's dull television. For ratings' sake you want either Nicole or Zach to win, and they're both strong competitors, so I would have thought the producers would choose more of a competition as opposed to what amounted to a raffle. Also, it's telling how every single evicted houseguest says, "I love Donny, he's awesome." I don't find him compelling television, but it says a lot about the guy that he is invariably every houseguest's favorite roommate—and from reality-TV personality types, plus in a live-competitive environment, and sans alliance. You have to think the guy really is pretty damn decent. It's kind of interesting how Derrick, the guy currently in control of a show named after a book about totalitarianism, is a cop. The name of the game is controlling people's behavior, with competitions serving as "fate" or "nature", and it's his job to control human behavior. Agreed. He's remarkably good at it, too. Not every policeman has Derrick's temperament or insight. And for anybody who's not aware, he's a sergeant in Central Falls, Rhode Island, which is a beleaguered little city that went through a bankruptcy just two years ago. It's not exactly like he works patrolling Main Street in some affluent suburb. I've been really disappointed at the lack of ANYONE going against "what the house wants" in terms of eviction. I think this is two years in a row with basically no split votes. 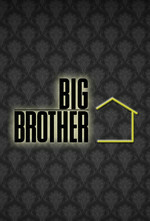 It makes the eviction shows pretty much a non-starter in terms of compelling television. There have been no surprises whatsoever, which is dull. I think the contestants on reality shows are finally realizing that numbers trump. It's happened on Survivor too, although you're right that it's been more pronounced the past couple years on Big Brother. It is simultaneously bad television and good strategy to walk into the house and immediately form the biggest alliance you can, as soon as possible, and stick together as long as possible. Even if y'all dislike each other. The game is about numbers. You're right that it stood out last year, and I wonder if that's part of why CBS introduced the the dual-HOH twist this year. But even that didn't really change anything. The houseguests adapted, and the twist became another means of collusion. Because they had been smart enough to form that massive alliance. If the girls had gotten together, we might have seen something different. I'm wondering when it makes sense for Donny to blow up Team America.